When it comes to choosing cladding materials for your home, there are certainly many options – fiber cement, cedar siding, stucco, brick – and somehow, always at the end of that list, is vinyl siding. Maybe it’s the perceived aesthetic quality or the bad rap it has received for a number of (unfounded) reasons over the years, but vinyl siding is the best way to go, if you’re looking for affordable, sustainable siding for your Durham, NC home. There is a commonly held misconception that the manufacturing of vinyl siding produces harmful toxins, which pollute the environment and endanger nearby residents, thereby qualifying vinyl siding as “un-green.” This is not the case. In fact, according to the Building for Environmental and Economic Sustainability (BEES®) tests performed on all exterior siding materials, vinyl siding outclassed all but cedar siding as the most sustainable option in terms of life cycle assessment. Additionally, fiber cement, which gained popularity as a house siding material over the last decade, ranked among the least environmentally friendly options available. Many green building enthusiasts continue to mistakenly sing its praises and ignore the truly green cladding material, vinyl siding. Affordability. 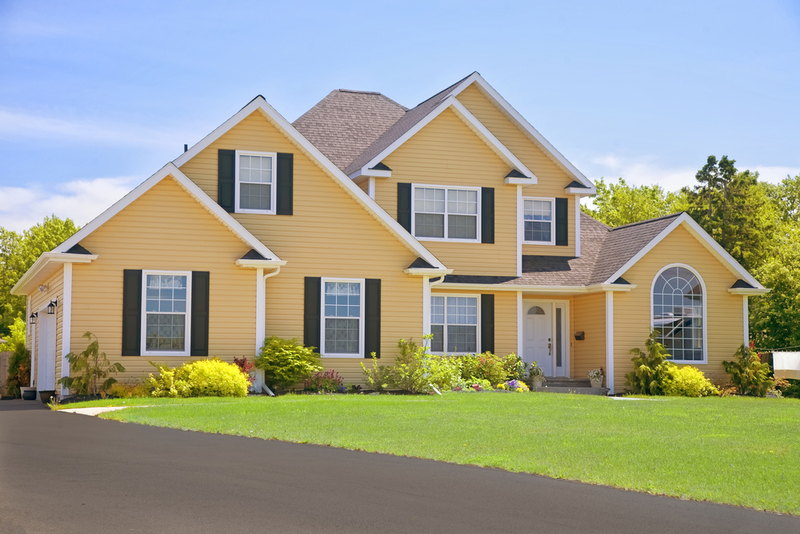 It cannot be stressed enough that vinyl siding will give you the most bang for your buck. From material cost to maintenance, vinyl siding costs the least over the long term. Durability. Speaking of long term, vinyl siding lasts a lot longer than other popular house siding options. And cleaning only requires water and a little soap. Simply put, vinyl holds up over time. Versatility. If your main concern is the appearance of the siding on the outside of your home, there are endless ways to personalize your vinyl siding with the help of Gerald Jones Company. Get Vinyl Siding With Gerald Jones Company Today! If you’re ready to add vinyl siding to your home or still have some questions, contact Gerald Jones at (919) 286-1700 to learn more about how we can help with your green building initiatives. Whether it’s vinyl siding or a custom deck addition, our family owned and operated company is here to meet your Durham, NC home improvement needs. This entry was written by geraldjones, posted on April 1, 2015 at 8:45 am, filed under Uncategorized. Bookmark the permalink. Follow any comments here with the RSS feed for this post. Both comments and trackbacks are currently closed.